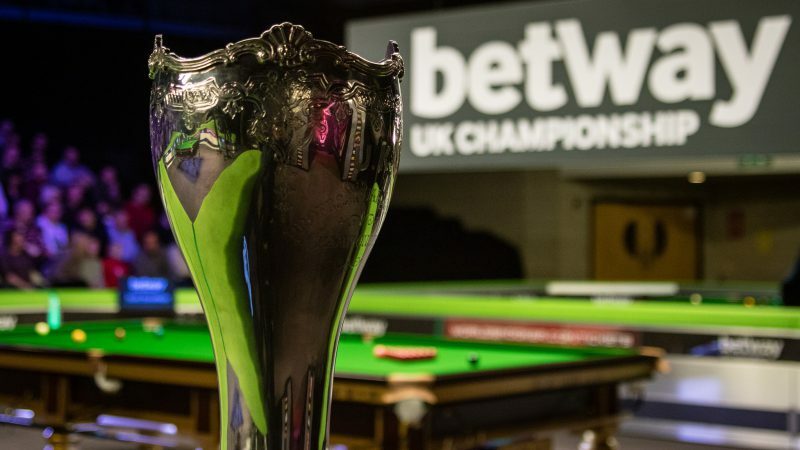 UK Championship title sponsor Betway are hoping for a centuries blitz or a maximum break at this year’s tournament, with a £10,000 donation to Jessie May Children’s Hospice At Home on the line. The tournament at the York Barbican runs until December 9th, with 128 players battling for one of snooker’s Triple Crown titles. Star names in the field include Judd Trump, Mark Selby, Mark Williams, John Higgins, Shaun Murphy, Neil Robertson, Ding Junhui and defending champion Ronnie O’Sullivan. And a 147 maximum break OR a total of 100 centuries in the whole tournament would trigger the £10,000 donation to World Snooker’s official charity Jessie May. Since 2015, Betway has donated a total of £48,788 to World Snooker’s charity partners. Alan Alger, PR Manager at Betway, said: “We’re looking forward to a fantastic two weeks of action in York. The best 128 players in the world are in the field and so there is no doubt the standard of play will be incredibly high. “There have been five 147s made in the UK Championship since 2012 so there’s a good chance of another this year. And on the century count, last year there were 99 and in each of the previous two years there were 105 so we’re confident the players we’ll get to 100 this time. Jessie May Children’s Hospice at Home, based in Bristol, provides a hospice at home service for terminally ill children, offering care to families in the Bristol area.